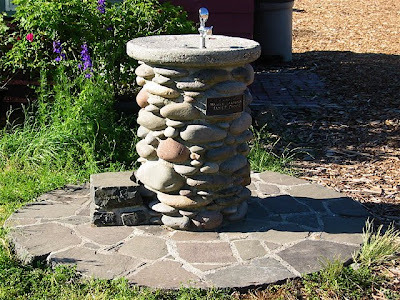 Weighty Matters: Are Public Drinking Fountains Disappearing? Maybe it's just my addled memory but I seem to recall public drinking fountains being everywhere when I was a kid. Every school, every park, every playground, every public building - everywhere had a drinking fountain. Nowadays they seem to be in much scarcer supply. So what happened? Why have they disappeared? Was it the insane rise of the bottled water movement that simply drove down demand? Was it fears of communicable disease? Were they purposely removed so as to encourage concession and vending machine sales? Or is it just all in my head? I know I have readers from all over the world. Would love to hear if your public drinking fountains are going the way of the dodo too. Have you noticed their removal?